The Sinovuyo Caring Families project is a locally developed, evidence-informed parenting programme that aims to reduce the risk of child maltreatment and improve child developmental outcomes for high-risk, low-income families with children aged two to nine years. Caregivers take part in 12 weekly group sessions, delivered by trained community workers. The caregivers learn stress skills to cope with stress, and techniques to manage their children’s behaviour. 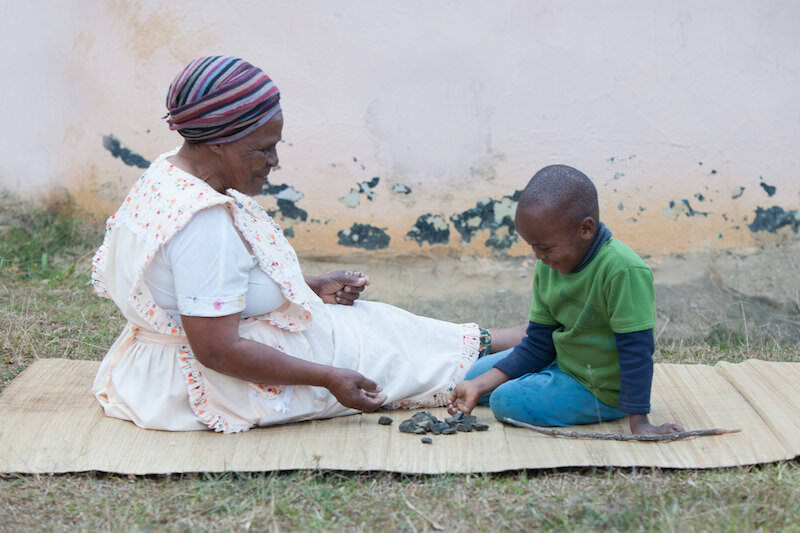 The session facilitators also conduct home visits to support parents who require extra coaching, and to involve other caregivers in the programme. The programme includes SMS text reminders to support participation and reinforce key parenting principles. The goal of the Sinovuyo project is to build an evidence base for a low-cost, scalable parenting programme that prevents maltreatment and child conduct problems and is feasible in low-income countries. Ilifa is supporting the evaluation of the project in collaboration with academic institutions (the Universities of Cape Town, Bangor and Oxford), local NGOs (Clowns Without Borders South Africa, Ikamva Labantu and The Parent Centre), and international agencies (World Health Organisation and UNICEF). In the long term, it may be possible that what is learned from testing the Sinovuyo Caring Families project can help Ilifa integrate parenting support into broader ECD delivery systems.